This series will closely mimic the same hands-on style as the other beginner tutorial sets on this blog for MODx Evolution, and Drupal 6, which can be found listed on the Beginner Tutorials page. As with all my tutorials, these will serve as a journal and reference of my own learning experience, as well as a way for me to share my knowledge and experience as I go. We will start from the very beginning, installing MODx Revolution, and working from there on, building a sample site as we go, much as we’ve done with other tutorials on the Coding Pad. We will explore the different features, addons, and such, and look at some ways to get things done in building a site with MODx Revolution. The target audience for this series is primarily people who are completely new to MODx Revolution. You don’t even need to know MODx Evolution to follow this series. If you do know MODx Evolution, you may find some of the initial parts of this series a little tiresome as you will already know some of the MODx basics, but hopefully you’ll learn something as you go. I will be mentioning as I go things that differ between Evolution and Revolution, to help make things clearer. Even though I am now working more and more with Revolution, I am still building and maintaining sites with MODx Evolution, and I will continue to blog and write tutorials for Evolution even as we dig into Revolution. One thing that is important to realize is that with MODx CMS there are often more than one or two ways to accomplish something. MODx doesn’t often constrain or box you to doing things a particular way. Therefore, the way I do things is just that – the way I do things. It’s not the only way or the better way, it’s just one way. Therefore, take these tutorials as a guide, a starting point, and be sure to explore the official documentation ( http://rtfm.modx.com/display/revolution20/Home), other blogs, and the MODx forum to get more ideas and learn more. It is my hope that you will take what I put here and build on it, developing your own paradigms as you go. I will be posting relevant resources at the end of each post. Some knowledge of PHP, while not absolutely essential, will come in very handy in truly exploring and expanding on what you can do with MODx. Where needed, I will cover the basics of whatever PHP code we may use, and/or point you to other resources, but I strongly recommend that you pick up some knowledge of PHP as it will serve you well. So that’s it for now, remember to subscribe to the Coding Pad and work along as we embrace the Revolution. See you soon! Looking forward to the series Mary. I’ve played with Revo since the RC on and off – but now I think it’s time to really dive in! Looking forward to it Mary! Great news! Good luck with new series! 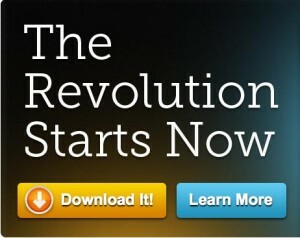 thank you for all the great tutorials on evolution and now revolution. is there any way that you might add a tutorial on how to add a simple photo gallery to either veriosn (Gallery or MaxiGallery)? or would you be able to point me in a good direction for a simple tutorial on either of these, please please? Thank you in advance, and I will check back for the next post on revolution. thanks for the feedback. I haven’t really worked with any of the gallery snippets yet. Take a look at http://www.kunane.com/modx/setup-01.html, there are some others on that website. I will look around and if I find any other resources I’ll post them here. Thanks Billy 🙂 I appreciate the feedback. muy buen inicio, realmente me interesa completamente esta tutoría y que mas que iniciar desde un sitio como este. I find programming impossible. So I can not learn PHP. I know HTML and CSS quite well though. Will I still be able to use this? Mary – Thank you so much for creating these tutorials. They are by far the most comprehensive & well explained out there. The fact you go step by step & cover most of the basic building blocks of a typical website is great. The Wayfinder tutorial (Part 8) is by far the best explanation around. The links to further information are also useful. It is a shame these tutorials are not linked from the Modx docs website. I would highly recommend these tutorials to any beginner starting out or intermediate who wants to confirm they are on the right track. Thanks again. If I had found these earlier you would have saved me so much time. As it is I have been able to confirm a lot that I found out by stumbling through. Glad you’ve found the tutorials helpful 🙂 I really appreciate your feedback.